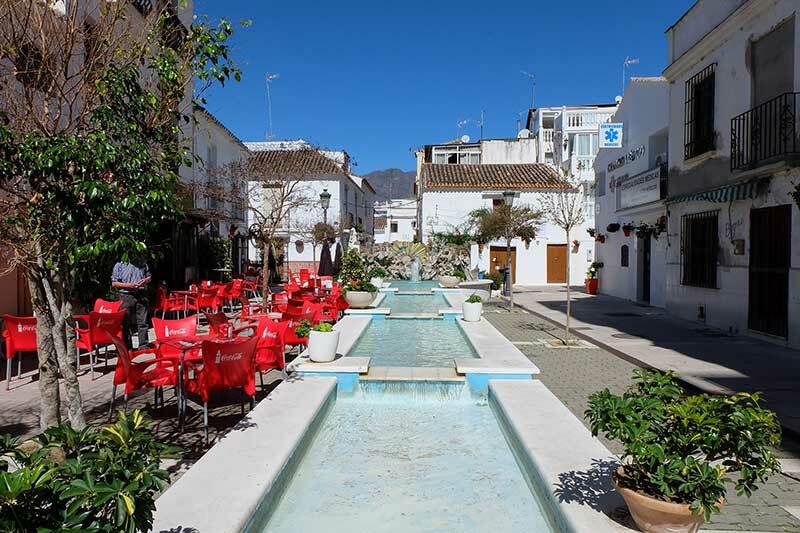 Estepona is situated in the South west region of the Costa del Sol, a few kilometres along from San Pedro de Alcantara, approximately one hour from Malaga airport via the coastal N3340 road or some 45 minutes along the AP7 motorway. 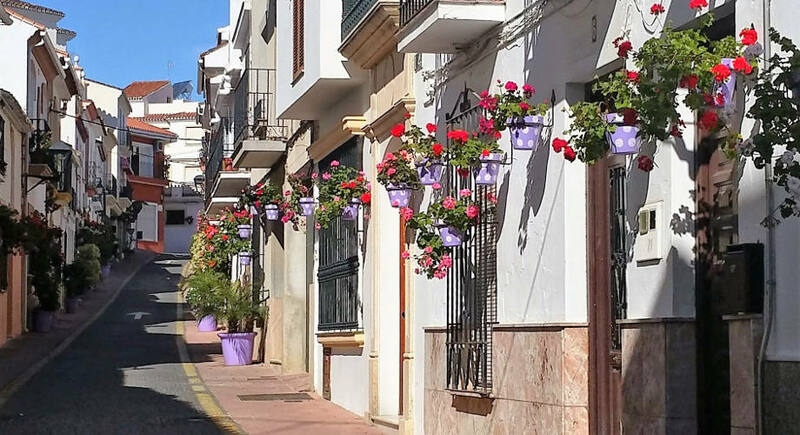 Estepona once was a quiet fishing and agricultural community, the property boom from the 80’s, 90’s and 2000 saw this quiet village like town transform itself into a modern urban sprawl, yet in many ways retaining its traditional charm as a typical Spanish pueblo. According to statistics, there are some 65,000 or so inhabitants in Estepona and adjacent areas; the population is described as multicultural. Annual average temperature is 17 degrees, however, summer temperatures have been known to reach a little over 40 degrees and in winter to drop below 10 degrees, it is also said that Estepona has more rain on average than other regions on the Costa del Sol. The town counts with numerous amenities such as supermarkets, shops, medical facilities as well as numerous bars, restaurants and of course chiringuitos (beach bars). There is a paseo maritimo (promenade) which has been recently done up, this is a very popular area for joggers and families going out for a stroll. A little further along and towards the exit of Estepona you come across the Estepona port or Puerto maritimo de Estepona. In the port you will find a good range of restaurants and shops as well as the weekly market which is held in the car park and a daily seafood auction. The entrance to the port is 80 metres wide and 5 metres deep; there are a total of 443 moorings ranging from 8 metres to 35 metres. The port is between 1.5 metres to 4 metres deep. A little further on from the port you will come to Costa Natura which is a popular nudist beach. One of the most popular beaches in Estepona is Playa del Cristo which is located a few minutes from Estepona; it is 1.5 km long and runs up to old town Estepona. There are numerous golf courses around Estepona such as Estepona Golf, Valle Romano, La Duquesa Golf and Country Club, La Resina Golf and Country club and El Paraiso Golf Club. There are also a number of points of interest in Estepona such as The Town Clock Tower, San Luis Castle, The Church of Los Remedios, and the original bullring.